In a long career marked by the absence of victory in major live poker tournaments, James Calderaro has finally got his chance. The poker player coming from Florida has effectively won the trophy of the World Poker Tour (WPT) Lucky Hearts Poker Open 2014. Thus, its about the greatest title conquered by Calderaro after his third place in the Main event and in the Championship Holdem Pot-Limit at $10,000 of the World Series of Poker (WSOP), as well has his silver medal in the WPT Jacksonville 2012. He has survived in front of a field of 415 participants composed by renowned players. 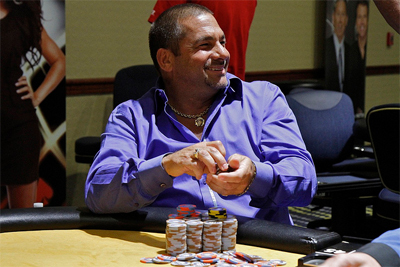 After ousting Shannon Shorr in heads-up thus, he has climbed on the first step of the podium of the poker room of the Seminole Coconut Creek, to pocket the reward of an amount of $271,103. Let us note that James Calderaro has started the final of this event in the third position, in terms of chips number, and before the beginning of the final duel, he has been in the position of chipleader with more few thousands of chips than his opponent. The battle has been at its height as both players have known ups and downs throughout the confrontation. In the 104th hand, Calderaro has finished dominating Shorr definitely and has won the title that he has hoped so much. Shorr should wait more before winning a WPT title. Nevertheless, he has been entitled with a nice jackpot of $190,039 for this new performance. Concerning the fate of the four other finalists, Keven Stammen has finished 3rd, while the chipleader Dimas Martinez has been on the threshold of the podium. Tim Kegel and Evan Dollinger occupy respectively the 5th and 6th place.